Mr. Solomon is a simple academician with visible achievements and has an immense experience in teaching for the past 14 years. He has done his Masters’ in Commerce. Mr. Solomon has a PG Diploma in Business Administration, PG diploma in Marketing Management, PGDIR & PM, and PGDIM. 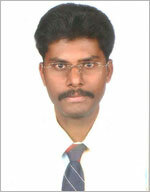 He has been very sincere in his efforts in training and helping the students in completing the edexcel projects. He has been teaching Marketing Management, Consumer Behavior, Industrial Marketing, Strategic Management, Principles and Practice of Management, Business Environment, Human Resource Management, Product and Brand Management, Strategic Planning, Advertisement and Promotion, Marketing Planning.